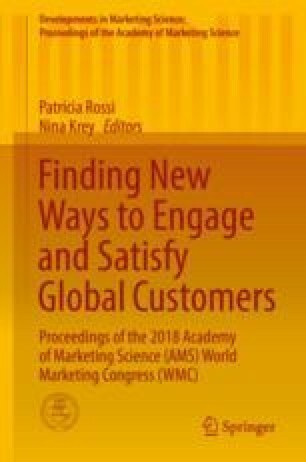 While conceptual suggestions, practical advertising guidelines, consumer perceptions, varying results from industry domains, and differences in measurement and methodology have created a set of findings that is rich and interesting (Kalra and Goodstein 1998; Noseworthy and Trudel 2011), previous studies in positioning lack the establishment of comprehensive set of strategies capable of operationalization by marketing executives and scholars. The aim of this paper is to develop a scale measuring consumer-based and managerially relevant generic typology of positioning strategies applicable to all offerings—tangible and intangible and low and high involvement. Positioning is defined as the particular bundle of benefits selected by the firm to be created and delivered to the target customer that reflects the “value proposition” (Ghosh and John 1999; Noseworthy and Trudel 2011). A review of the literature reveals that some of the early and widely referred to typologies (e.g., Aaker and Shansby 1982; Wind 1982) are conceptual. Similarly, other extant typologies including Hooley et al. (1998), Kalra and Goodstein (1998), Kim and Mouborgne (2000), and Punj and Moon (2002) are conceptual. Concerning empirically based typologies of positioning strategies (e.g., Crawford 1985; Easingwood and Mahajan 1989), these reflect mainly organizational practices and managerial views, and not consumer-based perceptions in spite of the call for consumers’ perceptions. These gaps in the literature further underscore the inspiration for this paper. We followed Mentzer et al. (2001) and Grohmann’s (2009) multi-item and multi-study scale development and validation process involving literature review, focus group interviews, and large-scale surveys using members of the general public. Our scale development and validation process encompasses systematic methodical adherence and attention to key steps of the process (Churchill 1979; DeVellis 2017; Spector 1992). In the absence of comprehensive typology of positioning strategies, our study has generalized and extended previous research findings on the concept of positioning by developing a comprehensive scale measuring positioning strategies. More specifically, in line with extant literature (e.g., Sprott et al. 2009; DeVellis 2017; Churchill 1979), this paper puts forward a reliable and valid measure of the concept of positioning taking into consideration consumer input and managerial relevance. We are confident that this new set of four constructs (impressive service, prestigious, cool and attractive, and value for money), grounded in theory and practice and exhibiting extrinsic and intrinsic attributes of offerings and consistent with executives’ positioning activities, will be appreciated by scholars and practitioners across differing industry domains.